A new breed of technology is changing the way we think about ecommerce. It’s called Content and Commerce. Although the growth in ecommerce is unabated, it’s probably not unfair to say that ecommerce websites remain pretty bland. I guess their transactional nature and familiar processes have made them effectively sanitised templates for the images and text descriptions they contain. In fact, swap out the products of two diverse retailers and their respective sites probably wouldn’t look much different. However, now more than ever, the approach to commerce sites needs to change or many brands will find it increasingly harder to compete. The reason lack of engagement. Let’s face it; bland ecommerce sites aren’t engaging and as such are just utility functions to purchase products. They pretty much rely on either price or advocacy and brand value gained elsewhere. When you add Amazon into the mix then competing on price is only for the few! There are successes but not many. You need a niche or product set that perhaps people don’t recognise as Amazon’s area but that’s not overly comforting for those relying on this as a form of defence. So in truth, most ecommerce success is typically driven by brand advocacy and as suggested, this is created beyond the ecommerce site. Product reputation is not formed online. Offline retailers use their omni-channel opportunities to drive you online – TV and advertising promote the message further. 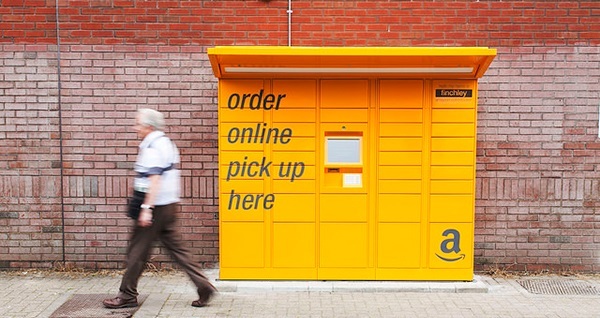 The adoption of “click and collect” is a good example, with convenience the ultimate aim. This is something Amazon also offer to their customers, yet again adding to their advantage. Further proof on this theory is that when retailers fail on the high street, their online operations also discontinue. This demonstrates a dependency on driving loyalty beyond the web. This is where the concept of Content and Commerce comes in. The simple fact is that for websites to be less reliant on external factors, they need to become more than the transactional shell of today’s ecommerce offerings. We already have some good examples driven by commerce being the secondary thought. Car websites are rich with content and tools, and now it’s becoming increasingly common for customers to be able to purchase their vehicle online. Their engagement focus is as much to the original goal of driving customers to a showroom as to the high value of the goods. So Content and Commerce is the strategy of delivering a significantly improved online customer experience with entertainment, research, community, customer service and configuration forming a coherent and integrated solution. It is the merger of traditional web content managed sites with traditional ecommerce sites. In truth much of the current situation has been due to this technology split. Ecommerce products such as Hybris, Demandware and Magento aren’t that good for content. The flip side is that CMS’ weren’t considered best of breed for ecommerce, so parallel worlds were created. In addition, the rise of social has also seen Facebook become a de facto marketer’s tool. Campaigns and digital marketing exist like moons circling our twin platform worlds! But this is changing as the benefits of an integrated system start to be understood. Like SAP revolutionised ERP, the advent of customer experience platforms that include email marketing, ecommerce, WCM, social and hooks to emerging touchpoints such as bots and voice are compelling. Redweb is an advocate, with most notably our Sitecore experience and partnership placing us as a key talisman to assist existing and new clients’ on this journey. 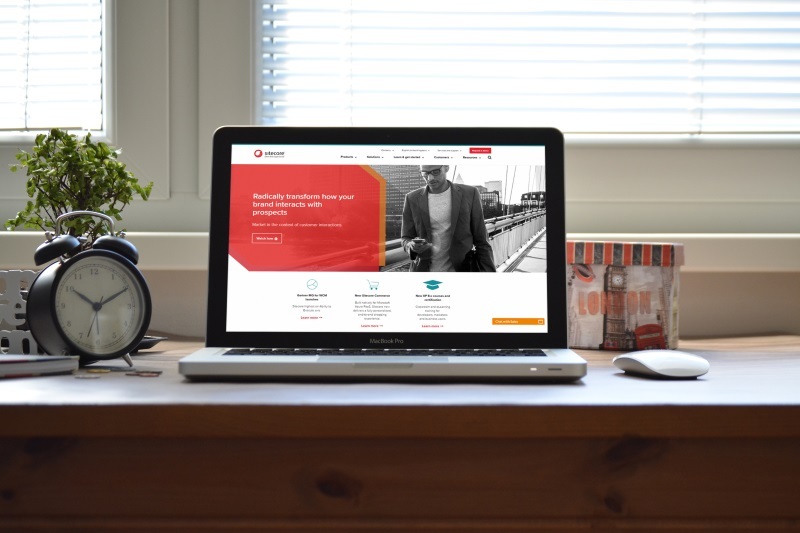 As an innovative vendor, Sitecore has recognised the opportunities in the content and commerce space and has an impressive roadmap backed by analyst support. Aside to central content delivery, integrated marketing platforms have many other advantages. Huge leaps in machine learning and cloud technologies are making them even more intuitive to customer needs. The previous futile vision of a “single customer view at scale” is considerably more achievable when you have powerful algorithms and AI behind the scenes. If this is seamlessly automated, then marketing teams transition from repeat campaign execution to holistic influencers. Finally, the ability to use behavioural, profile, sentiment and purchase data to segment and personalise will be a major factor in brands being able to better engage online. The rise of contextual marketing offers greater enhancement to customer experience, requiring a 360-degree view of the whole engagement piece. Ecommerce is changing. Platform development will bring both opportunity and disruption to the market. Is this the chance for omni-channel retailers to develop online strategies less dependent on their heritage? Or will they be at greater threat as the ecommerce only retailers build greater advocacy with their online savvy customer base and be less price dependent? You can read about contextual commerce on Sitecore’s website, but if you want to know more, please get in touch with us – our specialism of technology-driven brand experiences has never been so pertinent.